Just hours after it appeared that Samsung had ended the wait for an Ice Cream Sandwich upgrade for the Galaxy S II, the company has moved to rubbish reports and state that tomorrow’s update is not to be. 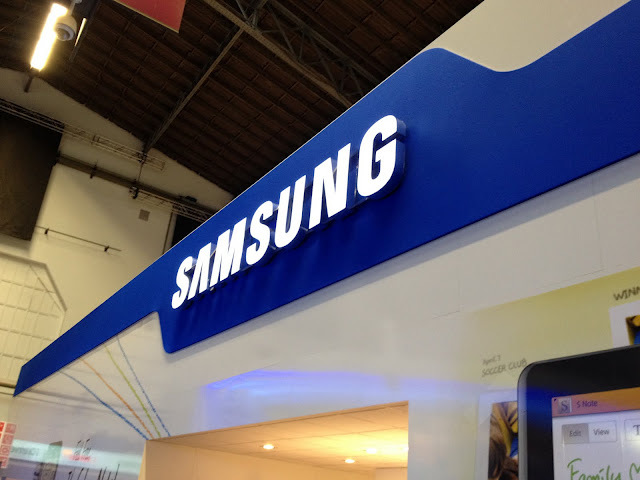 The original report has been sourced on a news announcement on the Samsung’s Filipino portal, noting that the update would begin seeding on March 10. 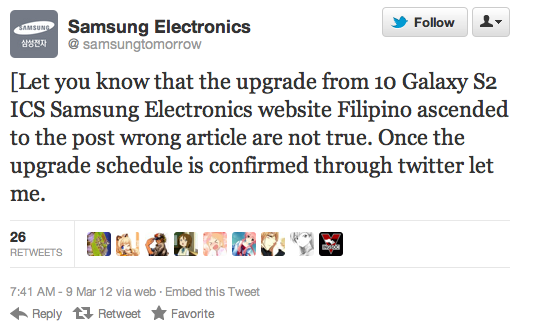 However, the Korean smartphone giant has tweeted from its Samsung Tomorrow Twitter account stating that the original post was “wrong” and “not true”. Samsung says it will announce its upgrade schedule via its official Twitter account — an account we have noted it is increasingly turning to as of late. If you own a Galaxy S II, it looks like you will have to another (small) wait for Android 4.0. We will of course let you know when Samsung officially confirms the update.